Trim interview easily, setting a start and end point. 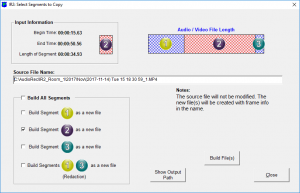 Redact(remove) specific timeframe and combine remaining clip into a seamless clip. Forget to turn off recorder? you can trim off the empty/un-needed potion of the interview.